In a week where Football has been brought to its knees, it responded in the only way it knows how. 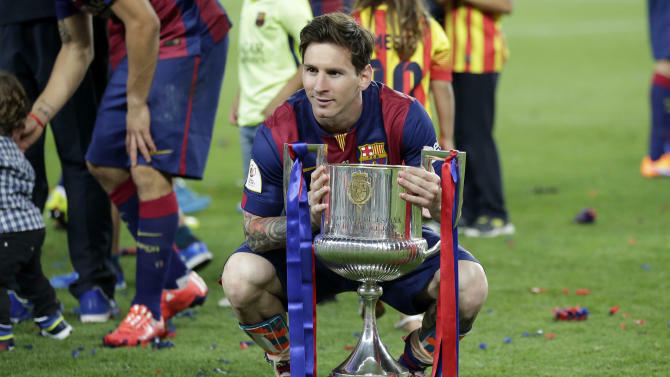 Whilst Fifa disintegrated into its web of corruption and greed, football fought back in the form of two of its most revered treasures, Arsenal FC and Lionel Messi. On Tuesday 27th May several top Fifa officials were arrested by Swiss authorities in a joint investigation with the FBI. The charges suggest widespread corruption in football's governing body spanning over 20 years. Two of the accused were current Fifa vice presidents and close allies of Sepp Blatter, all 14 officials will be extradited to the United States. As Wednesday and Thursday past, world leaders such as David Cameron, Angela Merkel and Barack Obama called for Sepp Blatter's resignation. Blatter refused and was re-elected Fifa president on the Friday for another four years. His denial and refusal to take responsibility amplified his arrogance. This left world football collapsed in a heap, its reputation dishevelled and tainted by a culture of greed and hypocrisy. Rumours about boycotts dominated Friday night as Uefa refused to back Fifa and called for reform. Blatter will have more questions to answer about Russia 2018 and Qatar 2022 once his officials have been interviewed by The FBI. It's clear this tree of deciept is deep rooted and could take years of digging up. Justice could one day prevail, but in the interim, it appears it's football fans around the world that will suffer. Amidst all the chaos you could be forgiven for forgetting it was cup final week, with the famous FA cup in England, the Copa Del Rey in Spain and the Coupe de France. The realisation of four more years of Blatter had assembled a bleak outlook on what was usually a treasured build-up filled with rich tradition and prestige. The FA cup is known as the most famous trophy in the world, but even right up until kick off the cloud of Fifa still loomed. In Football things can often change quickly, the Arsenal and Villa fans were loud and full of song. For the first time in days something made you forget the lies, the bribes, the backhanders. Enter: Mesut Ozil, Santi Cazorla and Alexis Sanchez, flicking and zipping the ball around in beautiful triangles that manipulated Villa into a state of discombobulation. It was only a matter of time until the net bustled and it was Theo Walcott who struck first blood. Early into the second half Alexis Sanchez reminded us everything that is great about our game. From 30 yards he unleashed a 69mph drive that sent a shockwave through Football. Arsenal were everything the beautiful game demands, eloquent, clever and ruthless. 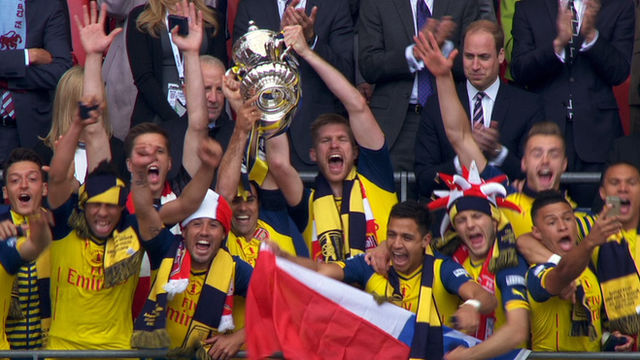 Their 12th FA cup was a record and an achievement that could not fail to be admired by all. In the evening, it came the turn of the great Lionel Messi, dancing and spinning through four Athletic Bilbao players in a way only he could, before releasing a perfect finish to give Barca a League and Cup Double. Messi's wonder goal yet again proved how lucky we are to witness his quest to retain the Ballon D'or. Whilst these majestic football moments will not end Blatter's reign of corruption they will afford us the virtue of patience while the FBI and Swiss Government finish what they started. They may have 14 officials to question, but the real prize for them is clearly Blatter. The FBI, Attorney General Loretta Lynch told the world to 'watch this space' until then we have Arsenal and Messi to remind us to rejoice in the game at its most beautiful.